automatically with your car to play music through its speakers and take calls hand-free. You scan your energy bar’s wrapper into your fitness app to add its calories, protein and carbs to your daily counts. You watch TV on your tablet while riding in an Uber car that you summoned with it, too. 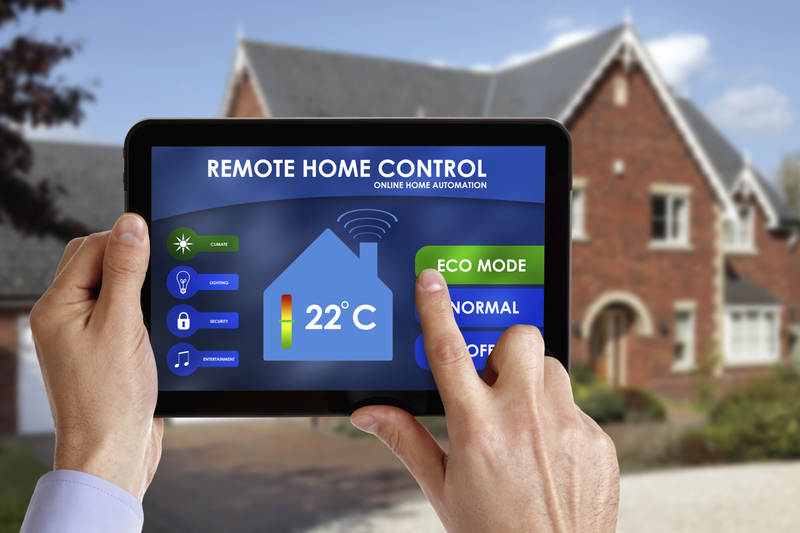 It’s not surprising that this digital integration and automation trend has extended into the remodeling realm. There are ovens that are controlled remotely from your phone, outlets that include USB ports along with standard electrical receptacles, countertops and medicine cabinets with built-in chargers, home security systems and much more Jetsonian excitement to come. we eat, healthy living is ranked as one of the major remodeling goals of millennial parents in a recent survey. This has spurred the growth of products like hands-free faucets and toilet flushing, steam ovens and steam showers. All of these innovations are aimed at taking the best care possible of yourself and your family. Stress management is part of that equation for many, and the reason why amenities like steam showers are experiencing double-digit growth. And there's nothing like a functional, organized home to reduce it's owners' stress; this is one of the major reasons we hear from our Atlanta remodeling clients as to why they want to renovate! The focus extends beyond products into space planning and design. There has been growth in home fitness rooms, wellness centers to accommodate medicine and vitamins in the kitchen or bath, a major emphasis on spa-style master baths and an overall focus on using materials that are less toxic for humans and pets alike. Healthy living trends are likely to expand as more millennials become homeowners. Here's another word we hear a lot these days! There is a strong connection between the healthy living and sustainability trends. There are also overlapping benefits. If, for example, the paint you use is healthier to breathe, it’s also healthier for the planet. Hands-free faucets reduce the spread of germs in your kitchen and bathrooms. AK offers a line of FSC Certified cabinetry, we've used sustainable materials like concrete and recycled glass on kitchen countertops and we help our clients design kitchens that make recycling and even composting easier! Perhaps it’s our smart phones and tablets spoiling us into wanting every area of our life to be personalized and user-friendly. This has certainly been the approach to home technology. Just about every control pad you operate today — whether it’s cooking or showering — has been influenced by Silicon Valley to be friendly and customizable. User-focused design extends into many other trends as well. For example, aging in place and accessibility are becoming must-haves for many. The user-focused trend also shows up in the growth of low-maintenance materials. Engineered stone tops that are easy to clean and never need to be sealed have become the most popular in the industry, surpassing granite in designer surveys. There are faucets with spot-resistant finishes, upholstery fabrics and carpets with ever-stronger stain resistance and self-cleaning toilets. User-focused equals convenience for time-challenged homeowners. Low maintenance carries into unfussy styles that not only look cleaner but are actually easier to keep clean. Sleek cabinet fronts without elaborate molding or heavy hardware look more contemporary and fit better into modern multitasking lives. Contemporary is the dominant style being uploaded by designers online. What’s really most important in remodeling your Atlanta area home is not incorporating the latest trends; it’s choosing those that fit how you and your household live. This is why AK takes the time to learn about your goals for your renovations! The best investments are those that fit with your lifestyle, home, neighborhood and budget. The good news is that there are so many more great options to choose from today.